Owners of a nursery school have installed a CCTV system so worried parents can check their children are happy while they are at work. 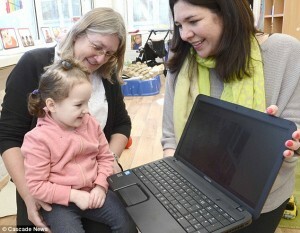 The day nursery based in Holland-on-Sea, Essex, gives parents a login address and password that they can access from a computer, smartphone or tablet so they can view their children’s room for up to five minutes at a time to reassure themselves that their children are OK.
Parents are not subject to a DBS check however they can only access the cameras for five minutes at a time and only on days when their children are in the nursery. We haven’t had one parent complain or say they don’t like it, and why would they? We have nothing to hide. You can read more about this on the Daily Mail website.